Last Saturday I was very excited, and a little nervous, to be setting up one of my wedding cakes in the beautiful Painted Hall in Greenwich. Set in the Old Royal Naval College, and dating back to the early 1700’s, the building was designed by Sir Christopher Wren and Nicholas Hawksmoor. The walls and ceiling were painted by Sir James Thornhill, and are magnificent. 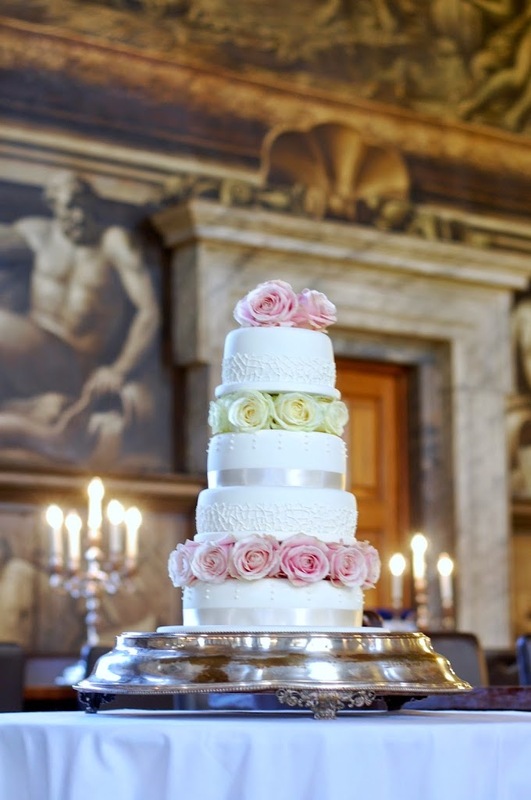 For such an elegant setting, the cake really needed to look the part. 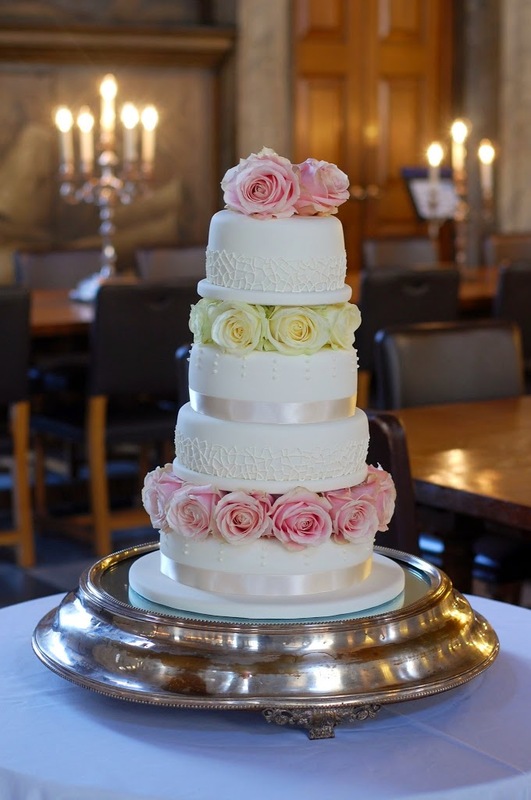 Hilary and Richard, the bride and groom, chose a simple ivory cake, with fresh roses. I piped rows of dots on two tiers, which were finished off with satin ribbon, and on the other two I piped a pattern to resemble the lace on Hilary’s dress. I hadn’t visited Greenwich in a while, and I had never seen inside the Painted Hall, despite walking through the grounds before. It is free to visit, and well worth a look. Many congratulations to Hilary and Richard on their marriage. I hope you had a fantastic day! We continue to receive gushing feedback from our guests about this place. Their manager and his team really went above and beyond to ensure a seamless, special and magical Las Vegas Weddings. I felt we got really lucky when we found out this space.